We know that sticking to a healthy diet can be tough on a budget as you want quality, without the unnecessary expense — and that’s where we come in. 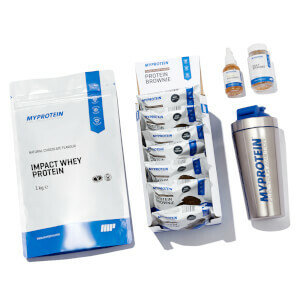 Our Student Bundle is packed with five of our best-selling training essentials to support your ambitions, without breaking the bank. 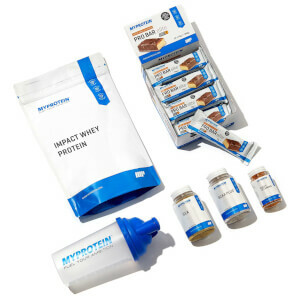 Impact Whey Protein (1kg): This high-quality whey is packed with 21g of protein per serving, which helps grow important muscle1 — key whether you’re trying to bulk up or get toned. THE Pre-Workout (30 servings): It’s time to give your workout a real boost2,3 — our improved formula is ready to push your performance by delivering an explosive blend of creatine and caffeine. 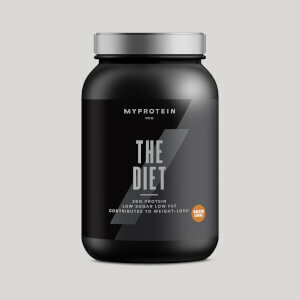 Protein Brownie (12 x 75g): Ultimate protein-packed indulgence — we’ve baked chocolate chips with delicious cocoa powder to satisfy your sweet tooth without taking your training off track. Essential BCAA (90 capsules): Naturally occurring in protein, which helps build and repair new muscle1 — these essential amino acids are great to support your fitness ambitions. Shaker: Our shaker bottle is the most advanced sports supplement bottle on the market — complete with a unique wire blending ball, which acts just like a whisk to keep your shakes lump-free. 2. Caffeine contributes to increased endurance performance. When to use the Student Bundle?